This week on Hit me with your best shot we looked at popular 1969 film "Butch Cassidy and the Sundance Kid". If you view this film as a Western, then it's certainly one that distinguishes itself within the genre. It's such a jocular film, without the tension or anxiety that usually accompany a Western. I never truly felt any dread while watching it. In fact, there are some scenes that are so sweet that you'd wonder if you were watching a serious crime drama at all (think "Raindrops Keep Fallin' on My Head"). With that in mind, my favourite shot is a simple one. While the title characters maintain their playfulness throughout, the other main character is almost staid in comparison. In a year rich in films about civil rights, one of them ("Fruitvale Station") has already released to critical approval and now we have another in the form of "Lee Daniels' The Butler". 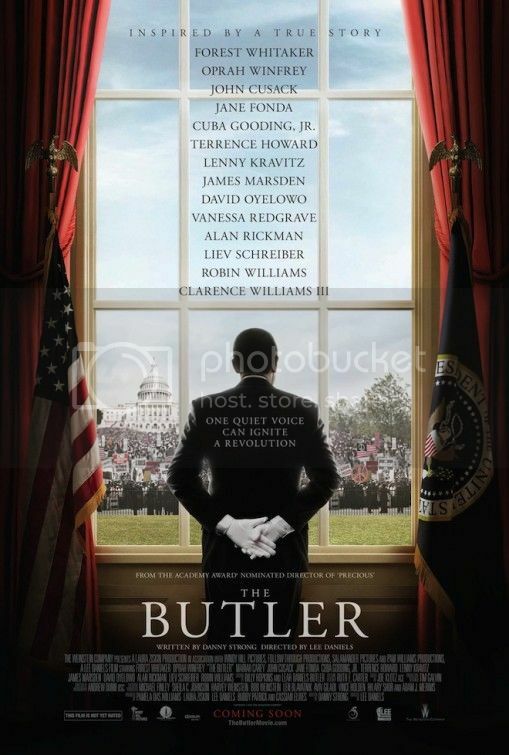 It's based on the true story of the White House butler Eugene Allen (renamed Cecil Gaines for the film) and his experiences serving various presidents. Focusing primarily on the years surrounding the African-American Civil Rights Movement, the black struggle for equality is high on the film's agenda. Cecil's epic journey (he lived a long life!) begins on the final bastion of white supremacy - the cotton farm. We quickly get a sense of his childhood in the South (mixed race mother, evil white master), with tragedy soon causing him to leave his home and eventually venture up to the more pleasant North. This opening is inelegant in the way it's presented (a very generic portrayal of a Southern plantation), but it's the section of the film that seems most attuned to his sensibilities as a director. It's actually ironic that this is the film that required his name in the title, because it's the least Lee Daniels-esque movie in his filmography. The audacity and raw "ugliness" of his previous work are replaced by a more dignified affair. As a Lee Daniels fan, it feels almost like an auteur selling out, but the tone is appropriate to the story. His ability to divert attention away from his own directorial manipulations is quite impressive and unexpected. He gets the tone right, from the score to the visual aesthetic. As the story plays out, Forest Whitaker gives the title role a nice evolving physicality. Despite playing a buttoned-up "goody two-shoes", he manages to give it the required emotional weight. Playing his wife, Oprah Winfrey also has a nice little role that functions primarily to entertain the audience. She's an alcoholic, sensual woman and it's the source of much amusement. It doesn't hold a candle to the skill and depth needed for her Sophia (in "The Color Purple"), but she acts it well. There's no denying she brings a strong presence to the screen. The film deals with some disturbing racial issues, so the dashes of humour that she brings (along with Cuba Gooding Jr. and Elijah Kelley) are welcome comic relief. As their eldest son, David Oyelowo is commendable too, although he didn't feel as natural as Oprah and Forrest. With his pitiful sad face and his fairly one-note aggression, the performance doesn't land as smoothly as his co-stars. These characters lay the framework for an interesting narrative. Unfortunately, the nature of the narrative doesn't allow enough room for depth in the sideline characters, namely the presidents. It comes across as blatant stunt casting when such superstar actors are cast without being given fully developed characters. Hence, it's hardly worth evaluating any performance outside of the main trio. It's particularly telling when Gloria asks her husband (to no avail) for inside secrets about what happens in the White House. Even through the audience gets to follow Cecil through his daily work routine, we are also left wondering about the unique experiences of his interactions under each president. There are hints to the subtle differences between each president's policies, but it's the screenplay's weakest aspect. What the screenplay does do well though, is the juxtaposition of Cecil's work life and his family life. It brought up a very interesting theme of the intricacies of black ambition that isn't often explored in like-minded films. While Cecil sees his butler job as the pinnacle of accomplishment, his son is much more ambitious. It's a fascinating generational issue, as well as an individual issue. Even today, the drive of black youth is still a significant issue that is clearly rooted in the oppression of people like Cecil Gaines and his forefathers. It's the reason why characters like Oscar Grant in the aforementioned "Fruitvale Station" are so compelling, showing the clash between underprivileged communities and those therein who desire more. This theme is the film's strength and is what makes it relevant to our contemporary world. The conflict between the reserved Cecil and his passionate son is deftly handled by Lee Daniels, combining their two worthy perspectives without overtly indicating a preference for either. It sets up an affecting finale that is well-earned by the story's long haul establishment of their tumultuous relationship. Likewise, the trajectory of Gloria and Cecil's relationship is well played. The emotional payoff moves us not because of a perfectly timed piano chord or dramatic emotional breakdown, but because we understand the family's struggles and complicated love for each other. To cap it all off, the film's final note further invokes the theme of black ambition. What a beautiful sight to behold Cecil living to witness the inauguration of a black president. For a biopic about civil rights, you couldn't ask for a more fitting and resonant conclusion. Throughout his long career Woody Allen has had many hits and misses. Some of them are even bad enough that they would have derailed another director's career. Thankfully, he's given us enough brilliant films to make up for his inevitable missteps. One such film is 1979's "Manhattan". As the title suggests, the film is set in Manhattan and it's easy to see why the film was thus named. A true New Yorker, Woody Allen shows his affection for the city from the second the film opens. Using gorgeous black and white photography, the picturesque shots are like postcards, showcasing Manhattan in its best light. These shots are enough to set the romantic tone, as the camera itself seems to be in love with the locations. Some filmmakers would be content to rely on this visual appeal to convey much of the film's narrative (think David Lean's "Summertime"), but Woody Allen goes one step further. He crafts a charming story within this setting, making this the revered classic that it is. The plot has comedy, romance and a hit of drama. Allen flexes his considerable acting chops in the lead role as Isaac, a middle-aged man looking for love. He's in a relationship with the strikingly teen-aged Tracy (played by Mariel Hemingway), but becomes interested in the fascinating and more age-appropriate Mary (played by Diane Keaton). To further complicate matters, Mary is the mistress of his best friend. I'm sure you can imagine the comedic, romantic and dramatic situations that would therefore arise. As Isaac tries to figure out his romantic conundrum, Allen employs his brilliant wit to create some fantastic dialogue. Describing it as brilliant wit is so apt here, as the conversations between the characters are brilliant in their highbrow/intellectual appeal, but miraculously accessible and funny. Even if you aren't familiar with the works of Bergman or F. Scott Fitzgerald, you can understand Isaac's outrage at Mary's dismissal of their worth. All you need is the expressions of the actors (notably Woody Allen himself, with his amusing neurosis) and you'll easily understand the humour. Woody is certainly the master of this brand of comedy, as he never feels the need to dumb it down for his audience. Yet still, he captures the interest of the populace. Not many writers or directors can do this, taking the often languid machinations of a film like "Manhattan" and producing something so thoroughly engaging. It's a sign of this man's genius. Like many of his best films, "Manhattan" success also has a lot to do with the overall collaborative effort. It's evident here that the entire team (actors, writer-director, composer, cinematographer) has a unified grasp of the material and its intent. It's no wonder that this film works so well. You can really feel the love for this project. From my own perspective a Manhattan lover, it warmed my heart to see this beautiful cinematic ode to a truly remarkable place. Paris, eat your heart out! 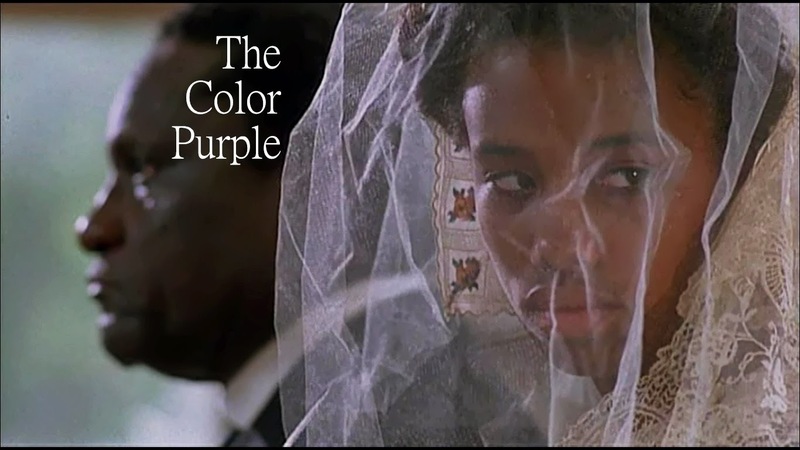 This week Nathaniel selected one of my favourite films for "Hit me with your best shot" - The Color Purple. This melodrama about the struggles of black women in the early 20th century is surely one of the most unique in his filmography. Its feminine qualities certainly separate it from his more predominantly male-centric films. What makes it even more special is that these female characters and their arcs are tremendously fascinating. From the defiant Sofia (Oprah Winfrey) all the way down to the demure Squeak (Rae Dawn Chong). The film improves almost exponentially as each new character is introduced. Arguably, the core relationship in this film is that between Celie (Whoopi Goldberg) and Shug (Margaret Avert), so that's what I focused on for my favourite shot. 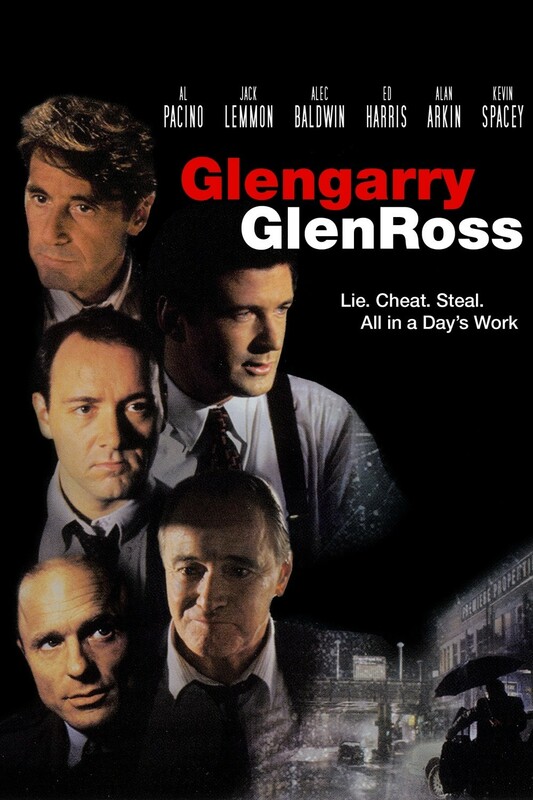 My favourite movie of the week is 1992's "Glengarry Glen Ross", an adaptation of the play by esteemed playwright David Mamet. The play won Pulitzer and Tony awards and I can easily understand why. This film version is a perfect synthesis of great casting and writing brilliance. 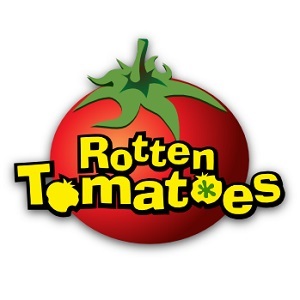 The film tells the story of a group of real estate salesmen who are forced to compete under threat of being fired. That threat comes from the sensational Alec Baldwin, whose performance is so memorable that you'd forget that it's basically a cameo. His early speech spurs on the various salesmen, making them desperate to get the good leads (contact information for willing buyers). These salesmen are played by a superb starry cast - Al Pacino, Jack Lemmon, Alan Arkin and Ed Harris. With its theatrical origins, one would understandably expect a long string of showy chest-beasting. That's surprisingly not the case here, with each cast member delivering effortless, subtle performances. If this was the first film I ever watched, I would think that acting was easy. Such is the naturalistic skill of these talented men. Truly, they could fill an Oscar category all on their own (especially if you include Baldwin). Of all these deserving performances however, Pacino was the only person to get the nod. If I hadn't watched the film, I would have just assumed that Pacino's performance towered over everyone else. While he does give a typically entertaining performance filled with his trademark impassioned monologues and ferocious verbal attacks, it's nothing revelatory. Hence, I would have preferred some recognition for the real MVP - Jack Lemmon. Among a cast of younger actors, Lemmon is remarkable for the voracious energy that he brings to the role. Not only does he match Pacino's showmanship, he also gives so many shades to his character. Even as the characterizations of the various salesmen don't seem too distinct, he manages to make his role uniquely his own. It easily ranks up there with his best work from decades prior. While the acting and dialogue are clearly the highlights of this film, it would be remiss of me not to acknowledge the general fine filmmaking on display. Given its talky nature and it's almost claustrophobic setting, it's given a hard task to keep the audience engaged. This film thus manages to overcome these obstacles with excellent camerawork and editing. There's a smooth flow to the proceedings due to a dynamic but unobtrusive visual sense, coupled with smart editing. It proves that the technical expertise expected of big-budget spectacles is just as important for more low-key productions. Everything comes together nicely to make this movie such a success. If I had to give one criticism of the film, I would say that I would have liked it to have expanded its scope a bit more. It doesn't stray too far from it's stagebound roots and some may therefore dismiss the film as being "slight". Don't let it's modest ambitions fool you though. "Glengarry Glen Ross" is vital 90s cinema. 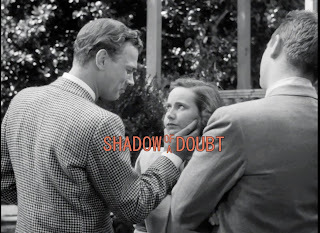 Hit me with your best shot is back and this week we dig into some Hitchcock, with a look at his 1943 film "Shadow of a Doubt". This was my first viewing of the film and it was a uniquely interesting experience. The plot is about a young woman whose mysterious Uncle Charlie comes to pay a visit. They are very close, but he seems to be a hiding a secret. 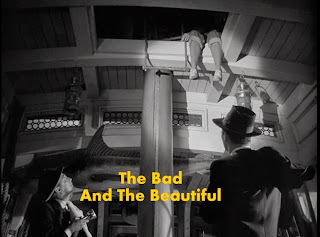 As the title suggests, there's a mystery involved and since it's Hitchcock, it's obviously going to be a murder mystery. What's so surprising then, is the film's lack of mystery. There really isn't any doubt concerning the pivotal crime at the heart of the film. It was my only issue with "Shadow of a Doubt', but Hitchcock makes up for this with the brilliant casting of Joseph Cotten. I particularly liked this actor-director collaboration and this is what I focused on for my favourite shot. This week I watched my first double feature in a long time, pairing up Eytan Fox's gay romance films "Yossi & Jagger" and "Yossi". Now, "Yossi & Jagger" may be the more acclaimed film but from my perspective, the sequel "Yossi" was the more satisfying film. Granted, "Yossi" probably had an unfair disadvantage from the start. To elaborate, I was so unimpressed with the production values of the original film that I was unable to fully submit to its charms. As a cinephile, I am aware that we need to appreciate independent filmmaking, but the ultra low-budget style really took me out of the film. The "home video" look unfortunately accentuated any flaws in an otherwise commendable film. Due to its short running time (65 minutes), the story is condensed and as such, the romantic core of the film came across as slightly vapid and saccharine. Without the gloss of quality cinematography, the perceived quality of the acting also suffered. I could tell that the cast was capable, but any cracks in their performances were made glaringly noticeable. Again, this was mainly an issue in the dialogue between the title characters. In the end, I found myself more interested in the relationships among the wider group of soldiers and friends, rather than the main couple. Enough about "Yossi & Jagger" though, this review is about the 2012 film "Yossi". When I started the film, I was immediately happy to see its improved professional production values. I then realized that the legacy of the Yossi and Jagger's romance was probably more potent than I initially thought. I was truly anxious to find out what happened to Yossi. As you may be able to surmise from the title, this sequel continues with Yossi's life after he has lost Jagger in the first film. It's 10 years later and Yossi has found professional success as a doctor. Unfortunately, he has been unable to recover from the tragic death of his love and has become a lonely, antisocial man. A chance encounter with Jagger's mom (beautifully rendered by Orly Silbersantz Banai) stirs up some new vigour in his life though, setting the plot in motion. As we get to know Yossi, the importance of the previous film becomes even more clear. The hopeful enthusiasm of his younger days is long gone and his loss dictates his present day apathy for life. It's a risky plot decision, asking the viewer to become invested in a lead character who is steadfast in his resistance to the joys of life. The film's detractors tend to emphasize this point and I honestly can't fault them for that. Even though I did empathize with his attitude, I also found it strange that he could be so active in his educational/professional pursuits and yet be so listless with his social life and basic happiness. What Ohad Knoller manages to do with the character given this challenge, is therefore remarkable. This is a very specific type of character and he forces you to latch on to his performance, rather than the character itself. While the character is dull, the actor is anything but. Knoller makes the character extremely endearing and this is why Yossi is so frustrating. You feel his sadness, low self-esteem and hopelessness and you desperately want to shake him out of his rut. Thankfully, Yossi does make some baby steps towards self-improvement as the film progresses. He takes a road trip that results in him befriending a group of young soldiers who encourage him to join them for a fun stay at their hotel. The original film reveals its importance once more, as these men are clearly reminiscent of Yossi's army days with Jagger and their other companions. With this nostalgic spark, Yossi slowly opens up (emphasis on slowly), even forming an attraction with the group's handsome token gay played by Oz Zehavi (a perfect casting). The slow development of this relationship is again frustrating, but Knoller's firm commitment to the truth of this character's personality is something to be admired. Yossi may not be the most compelling of lead characters and the film's somewhat bleak outlook on life after tragedy may be too irksome for some. On the other hand, the personal intimacy of the film's character study is brilliantly executed. It may not be a fully satisfying screenwriting achievement, but Knoller's sincere portrayal and the strong supporting cast make this film worthwhile.